2 to 4 player multi-dice game. Roll the dice as fast as possible, and the player that gets all of the dice on the same number wins. Dimensions (in packaging): 10" x 1.4" x 1.2"
Purchased for nephews but the entire family played the game! Bought this last Christmas for my game collection. It’s a quick, easy and FUN game. My grandson and I think up different dice combinations to compete for. 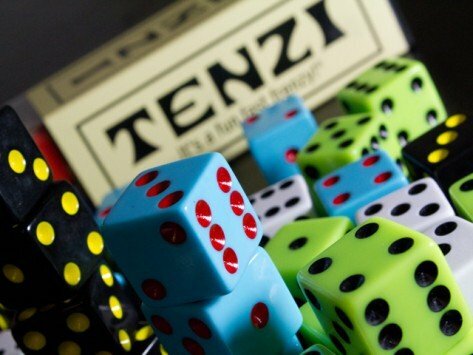 You can play by the original rules or opt for one of the many variations, such as Stealzi, which involves stealing other players’ dice. It’s frantic fun for all ages—and there’s no screen, battery, or mouse required.